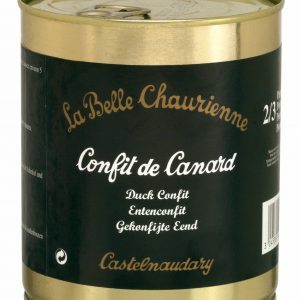 A 100% natural duck cassoulet from Castelnaudary, which makes a delicious and hearty warming French meal for two! 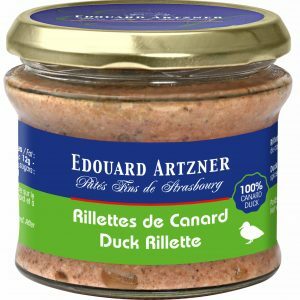 Prepared with tender pieces of duck, pork charcuterie and Toulouse sausages cooked in a lingot bean sauce. Simply pour into a saucepan and warm up gently – and for variations on this – please scroll down to view our serving suggestions. Dietary Information: Gluten free and wheat free. Egg free. Lactose free. Nut free. No additives or preservatives. 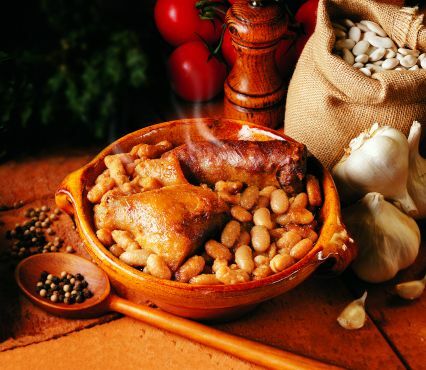 Grilled Toulouse sausages (pork meat, pork fat, water, pork casing, salt, pepper); duck meat; pork meat – Lingot Beans – Sauce: water, tomato concentrate, salt, garlic, pepper. 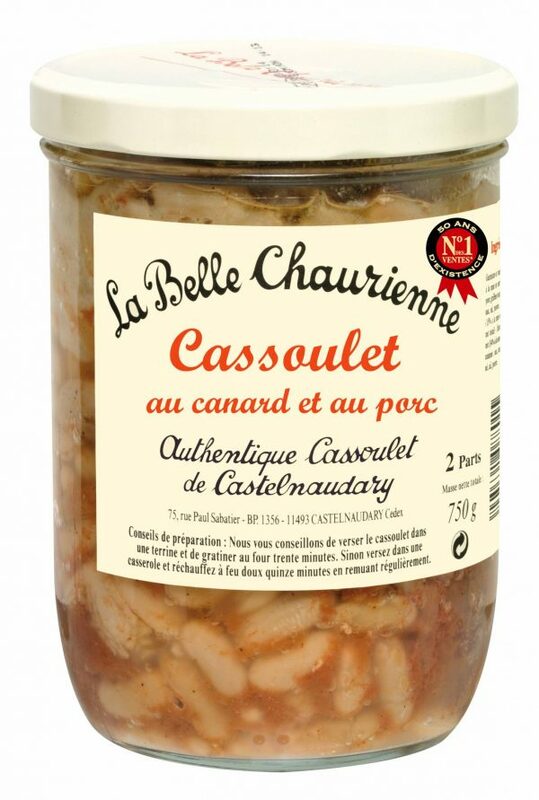 Pour your cassoulet into an oven proof dish and re-heat in oven at 180c for 20 minutes. If short of time you can also warm gently in a saucepan or heat in a microwave tray. 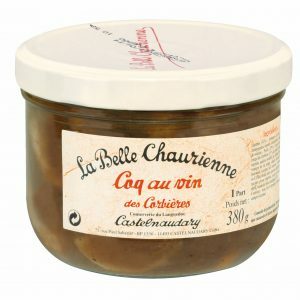 If you have more time, gently fry an onion or shallot and add this to your cassoulet. It makes it even tastier! 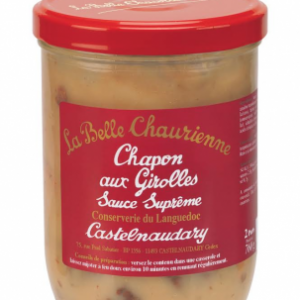 A few pieces of chorizo sausage will also add great flavour to your cassoulet.